Monbebe will be showcasing their early Spring 2019 releases at Playtime Paris this weekend. And many great Spring items are now also available on our website (with more still to come). So this is a good time to have a closer look at this fast-growing Korean brand. Monbebe is one of those rare brands that simply took off. We started selling Monbebe in 2017. Already in its first season Monbebe managed to position itself in the top 10 in terms of sales on KKAMI.nl. Even our current and all-time bestselling brand, LALA, didn’t manage that when it launched in 2015. Monbebe’s early success was due to some awesome baby sets with hats that had rabbit ears and bear ears. Monbebe continues to sell those type of designs with great success, but their collections have much more to offer. Our customers have picked up on that and now all their designs sell very well. As a result Monbebe’s sales continue to grow season by season. And last season the brand ranked number 3 in our sales records. 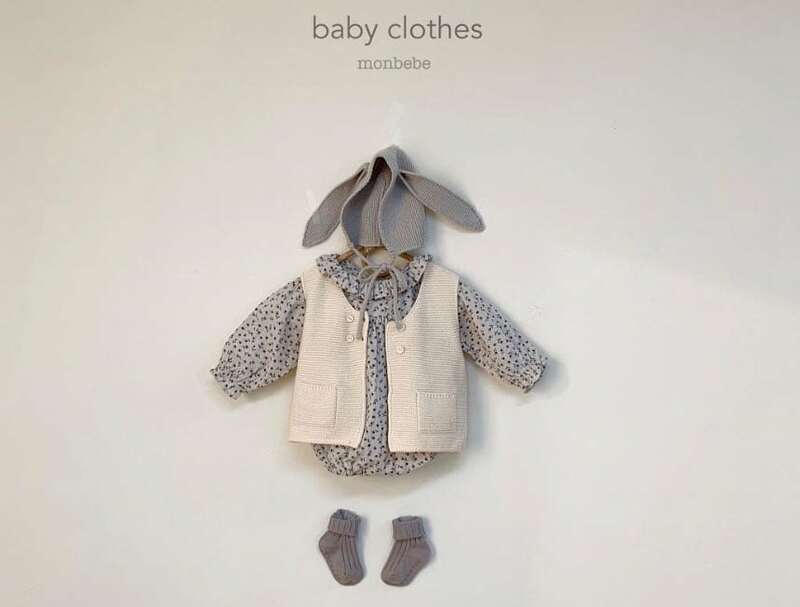 Monbebe makes fashion for baby, toddler and young kids. And they even have some outfits that fit mommy. They also make their own accessories and socks that are easy to match with their clothing. But as the name suggests: it is their babywear, especially rompers and sets, that is their biggest pride and top seller. Fabrics are so soft and cozy for the little ones. 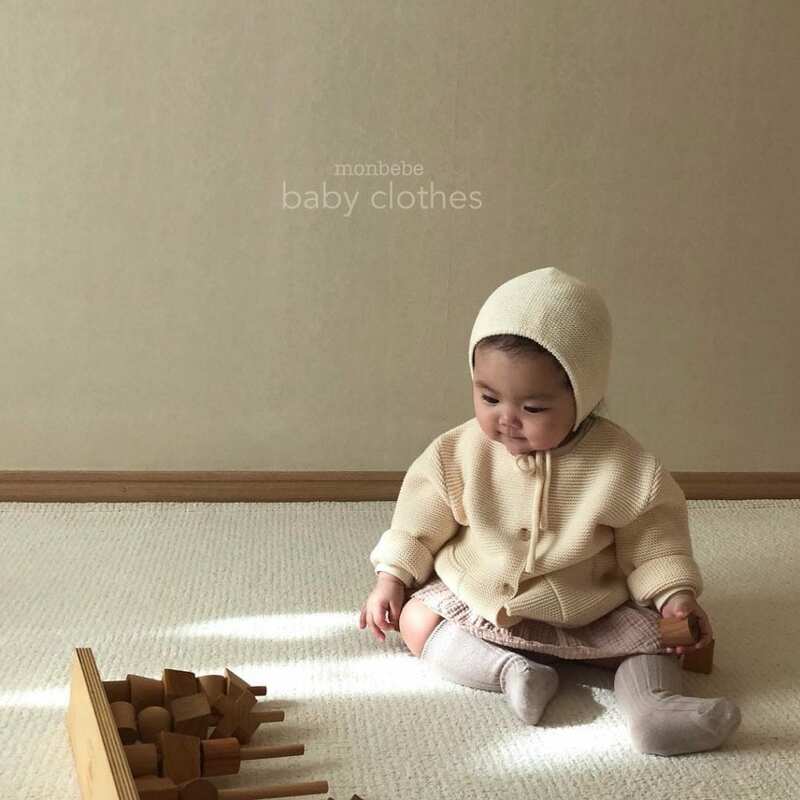 Their baby clothing is made with the best cotton to avoid skin irritation and is KC-certified after being tested for baby safety. Monbebe is considered a daily wear brand and its designs allow babies move around with a maximum comfort. The time is over when there was mostly ‘blue with cars’ for boys and ‘pink with princesses’ for girls and that was it. 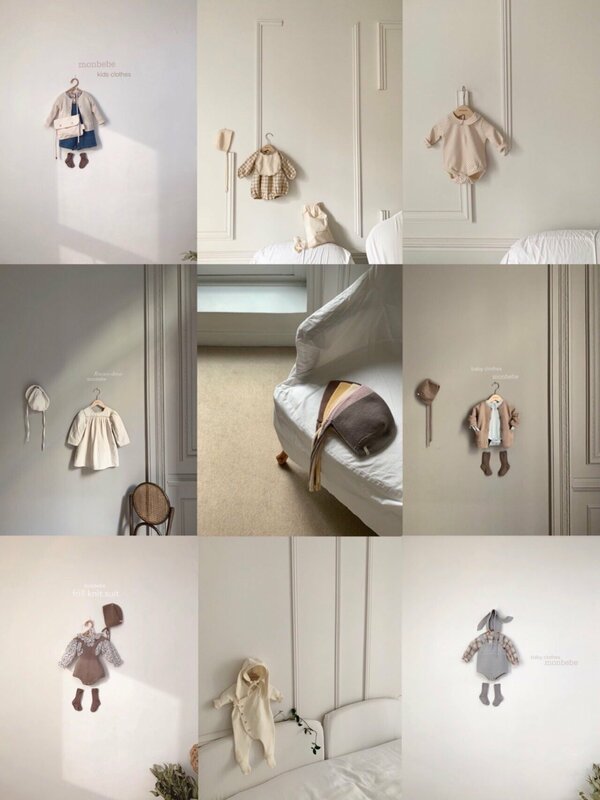 Monbebe respects the child with often being unisex and also timeless and beautiful. 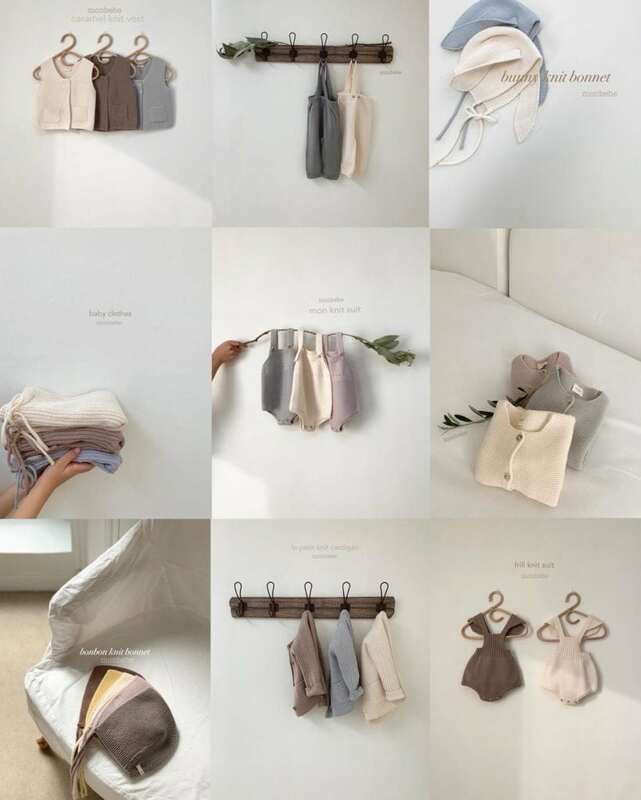 Their designs have a minimalism touch and tone-downed colors. This style gives Monbebe a vintage look, but their use of basic print, animals ears on hats, and frills help keep it fun and fresh. Their collections always include a large range of knitted items. There are plenty of designers who would stay away from knitwear out of fear for seeming old fashioned. But it works so well for Monbebe because it perfectly fits their brand image. Monbebe has been with KKAMI for 2 years now. We are really proud to bring them to their first international trade show (Playtime Paris) this weekend. And we hope that will further open the doors to more shops from around the world. Babywear is what Monbebe does best.